S7 Airlines and Globus, the two Russian carriers that make up the S7 Airlines Group, jointly served some 1.535 million passengers in June, a 12.6 per cent improvement over the same month of last year. S7 Airlines, the larger of the two, which claims to offer ‘the widest domestic route network’ from its two bases at Novosibirsk’s Tolmachevo and Domodedovo in Moscow, was accountable for 1.096 million, thereby exhibiting an average growth rate of 12.4 per cent. “The significant growth on domestic lines in June was generated by football fans using S7 Airlines to travel between the championship host cities. Last month we carried about 100,000 passengers travelling for purposes connected to the World Cup. So we negotiated extra slots with the airports and increased our frequencies to the host cities to provide all fans with convenient travel options to the games,” S7 Group’s commercial director Igor Veretennikov explains. At the same time, the growth in the international segment – 13.2 per cent up year-on-year, to 438,471 passengers – was ‘predictable’, the group insists. 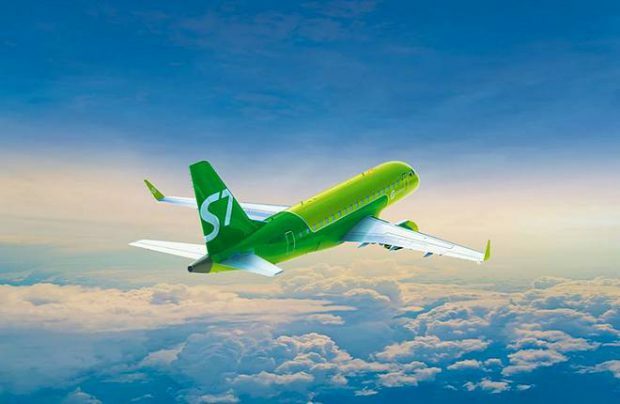 The airline’s flights to leisure destinations traditionally enjoy high demand from holidaymakers and this year S7 Airlines launched several new international destinations, including Moscow-Sardinia, St Petersburg-Stockholm and Novosibirsk-Tokyo. Also in the month, S7 Airlines continued its fleet expansion programme, becoming the first Russian operator of the Airbus A321neo, which will enable it to launch additional new routes, both within Russia and beyond. Currently S7 operates seven re-engined Airbus neo narrow-bodies – six A320neos and an A321neo.